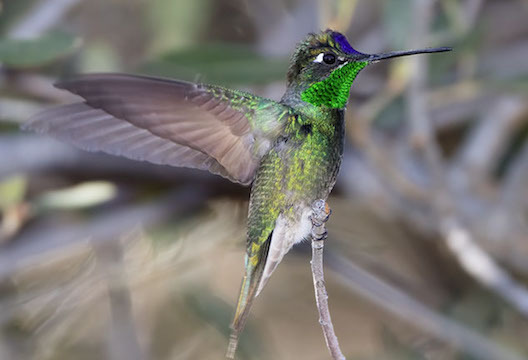 Rivoli's hummingbirds (formerly Rivoli's hummingbird, and then magnificent hummingibird, and now reverting to the original name), are found in the US only in mountain forests in southeastern Arizona and southwest New Mexico. These birds (males and females) were wintering at feeders in Madera Canyon, Arizona. 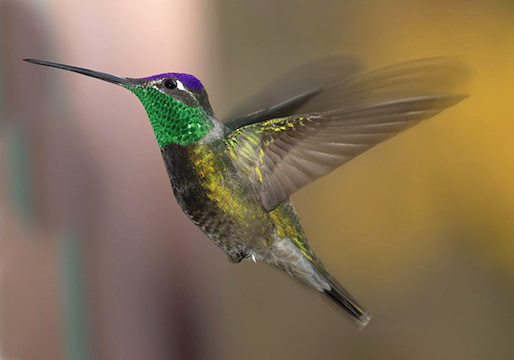 As with most hummingbirds, the gorget color varies considerably depending on the light angle.